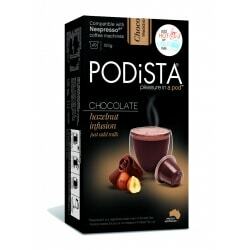 Biodegradable Nespresso®* compatible hot chocolate hazelnut pods. 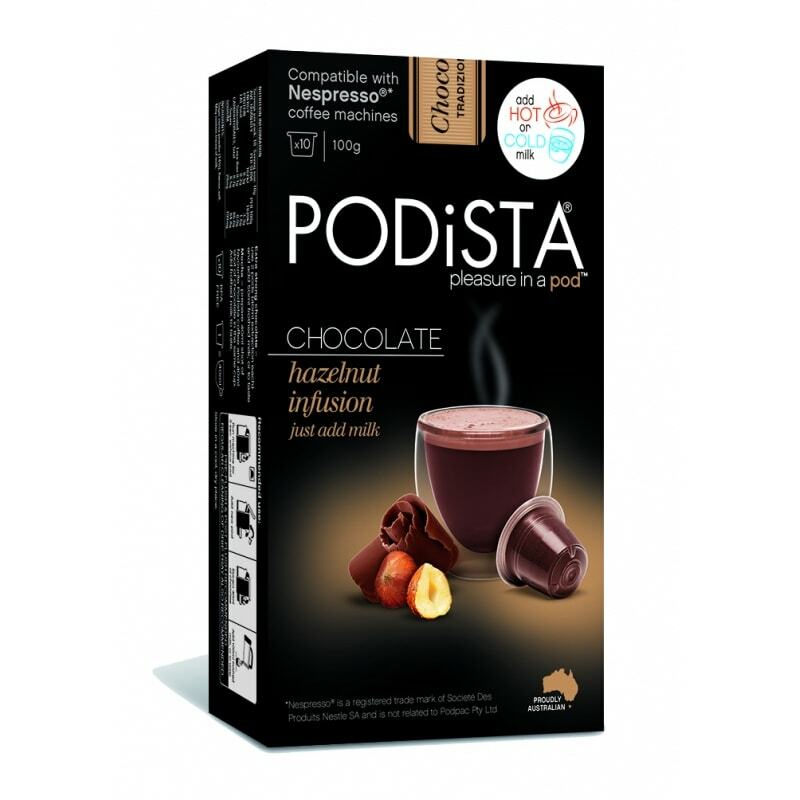 Whether you’re trying to warm your soul on a cold night or just looking for a rich, nutty, sweet flavour – this (Nespresso®* compatible) pod from Podista will be leaving you with a delicious, moreish after taste. 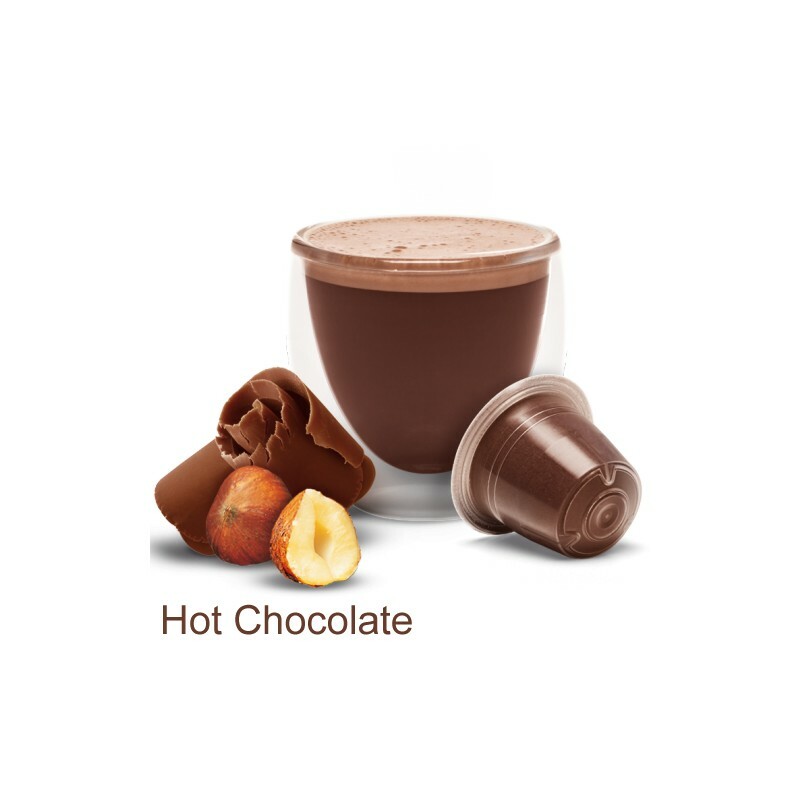 Did you know you can also drink your Hazelnut Chocolate capsules COLD, just extract over Ice and add cold milk, for a delicious alternative! Ingredients: Sugar, cocoa powder (16%), flavour, salt. May contain traces of milk. These pods are biodegradable and made with d2w oxo-biodegradable plastic. More information about our biodegradable pods and the environment.